It’s back, Arizona Beer Week, a time for locals to celebrate all things craft beer. So, of course, Arizona’s largest local craft brewery has a full week jam packed with hopped up festivities! Kicking off Arizona Beer Week with a special collaboration beer dinner with SanTan Brewing Company and Huss Brewing at Gertrude’s at the Desert Botanical Gardens. Set for Thursday, February 11th from 6-8:30 p.m. the menu includes Hors d’oeuvres, three courses and craft beer from four Arizona breweries. Tickets are $49 per person and reservations can be made by calling Gertrude’s at 480-719-8600. Tickets are $49 per person and include food and beer. Space is very limited on this special event, email jamie@santanbrewing.com to reserve your spot. 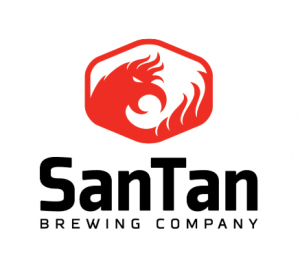 Other SanTan Brewpub highlights include a special menu for Valentine’s Day on February 14th and a full week of specialty chimichanga and beer pairings. For a full list of Arizona Beer Week events, visit www.SanTanBrewing.com.